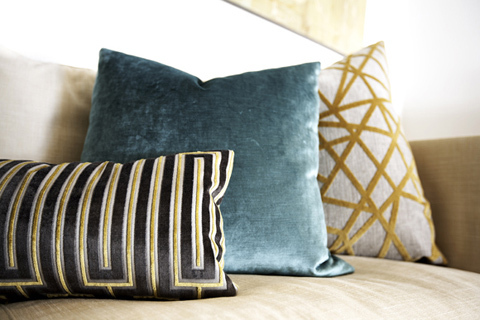 When I saw these cushions I knew that I needed to create them! and I did!! And this is my result.. Pretty good don’t you think.. 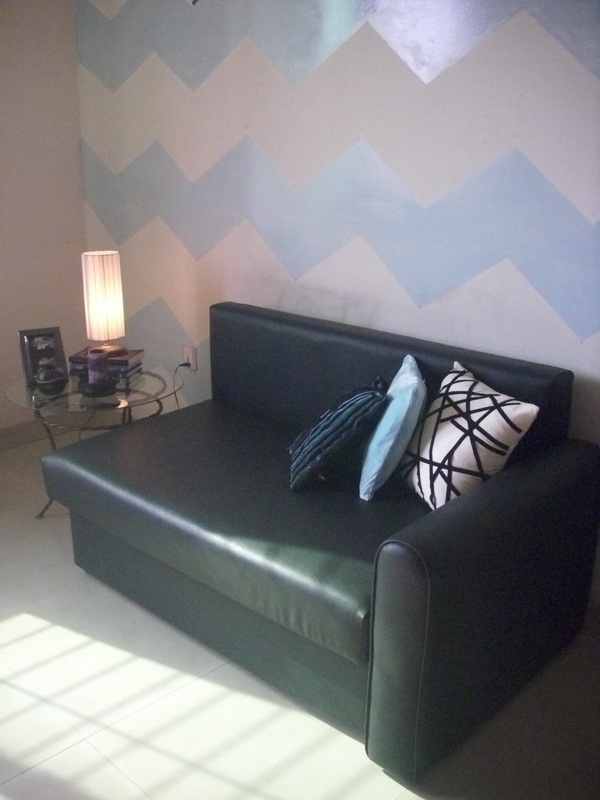 I am absolutely in love with them and they look amazing on my black couch in front of the chevron wall.. Here is an easy to-do to create the black and white one..
2. 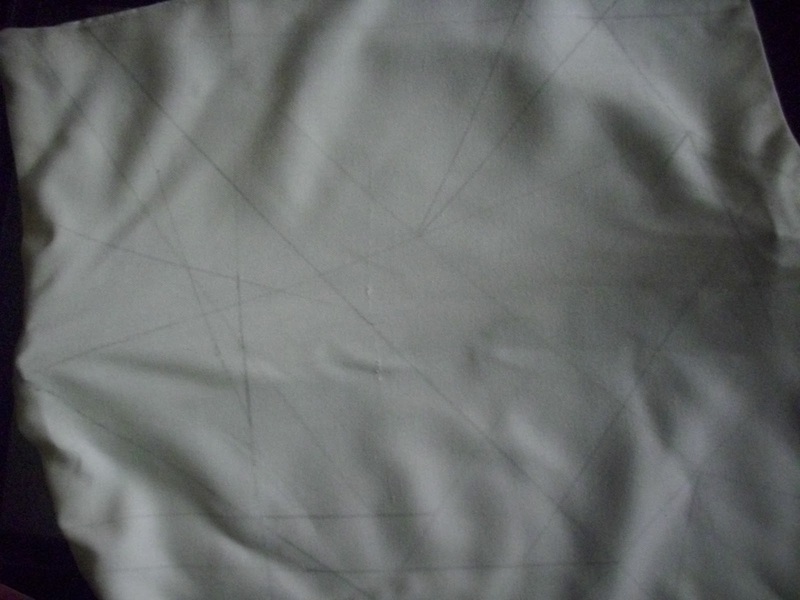 With the help of pencil and scale draw random lines on the fabric. The scale and size and pattern is upto you. 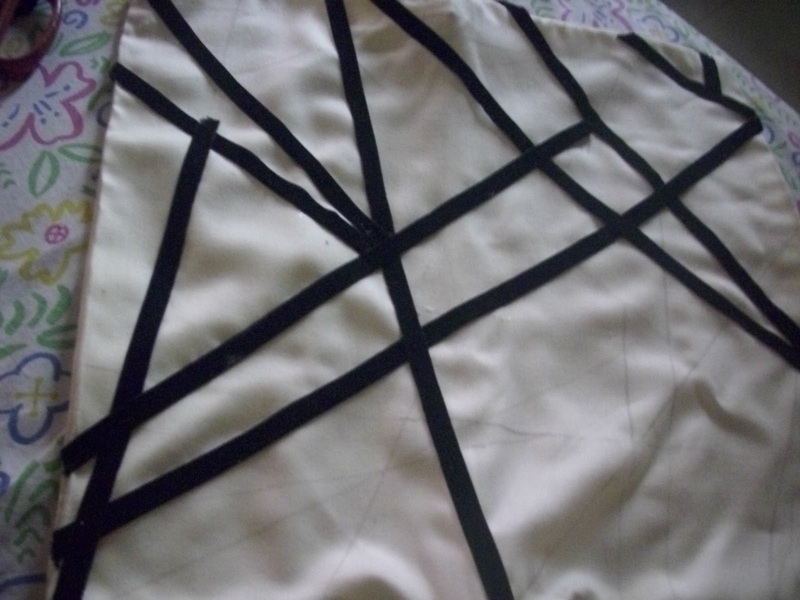 3. measure the ribbon with one drawn line and cut it and start glueing. And that is about it.. complete all lines.. Make changes.. Add more.. 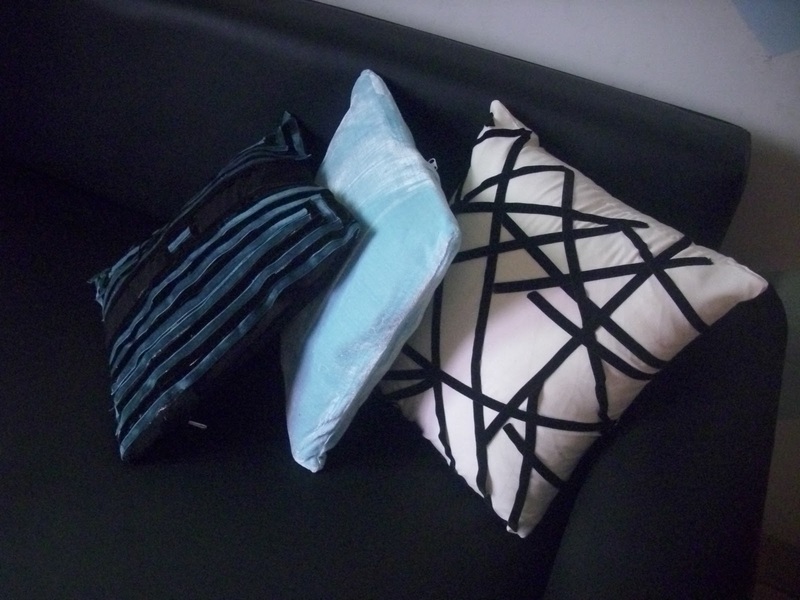 Adjust your fabric with your ribbon.. and Voila.. You will have your cushion! 1. Do load up on ribbons. 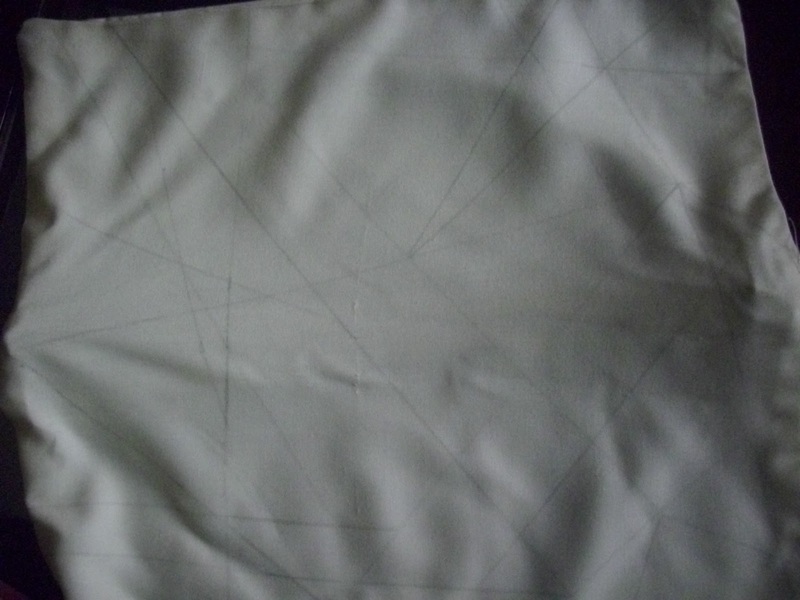 I miscalculated mine and ended up delaying my project for two days leaving it unfinished, which was pretty annoying! SO buy extra ribbon. You never know what it takes! 2. 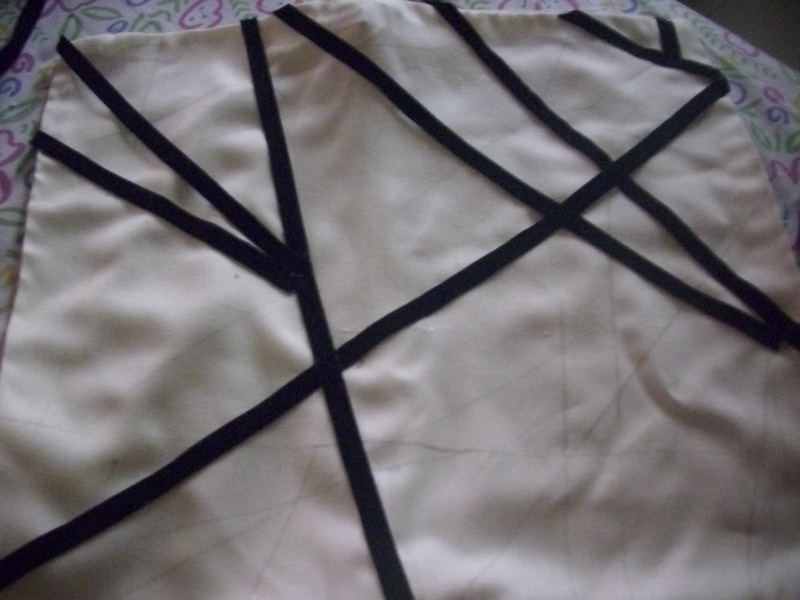 You can stitch the ribbons instead of glueing, but I chose to glue and it turned out alright for me. A bit messy but works pretty fine. So stitching or gluing is your call. 3. 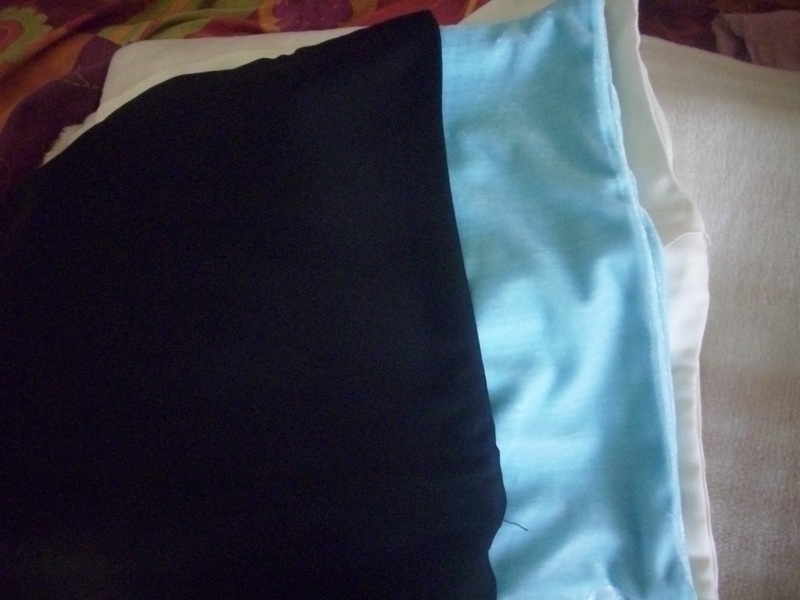 The black and blue cushion was a DIY as well but it was bit more complicated. If you are interested email me and I will send you the pattern that I used.